A few weeks ago, a man named Mila Rangzen released a video publicly attacking the character and reputation of eight women, most of whom were or are working for the Central Tibetan Administration. 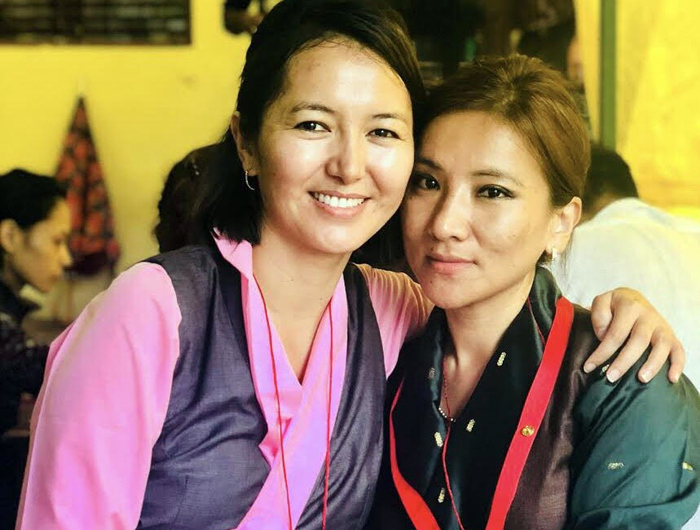 Under the pretext of launching a Tibetan #MeToo Movement, this YouTube video made unsubstantiated allegations of sexual relationships and/or sexual assaults perpetrated by Sikyong Lobsang Sangay on these women. The video made its rounds in the Tibetan community. It was viewed over fifty thousand times on YouTube alone and shorter clips of the video were shared on other social media sites like WeChat and Facebook. As two of the eight women mentioned in the video, we are outraged and horrified by the slanderous and baseless accusations Mila Rangzen made against us. We categorically deny either being sexually assaulted by or having had any sexual relationship with Sikyong Lobsang Sangay in all the years we have known him. Tenzin Palkyi and Dhardon Sharling. With that statement out of the way, our main goal in writing this article is to actually take a step back and assess how we as a community can learn and grow from this dreadful incident. The video cannot be brushed aside as just another episode of a random, irresponsible and misogynistic individual putting out fabricated and malicious stories. The video brought up for us very familiar questions of who is believed and who is blamed in the court of public opinion when a woman’s character is questioned. It raises the question of why one man felt entitled to speak (and spread the most vulgar lies) on behalf of eight women – especially when the eight women included former ministers and former parliamentarians, women who are demonstrably capable of speaking for themselves. We need to address why there was a complete disregard of our agency and our voices as women to speak about our own lives. The video does more than denigrate women’s reputation and dignity. It makes an abuse of free speech and a mockery of the #MeToo movement. 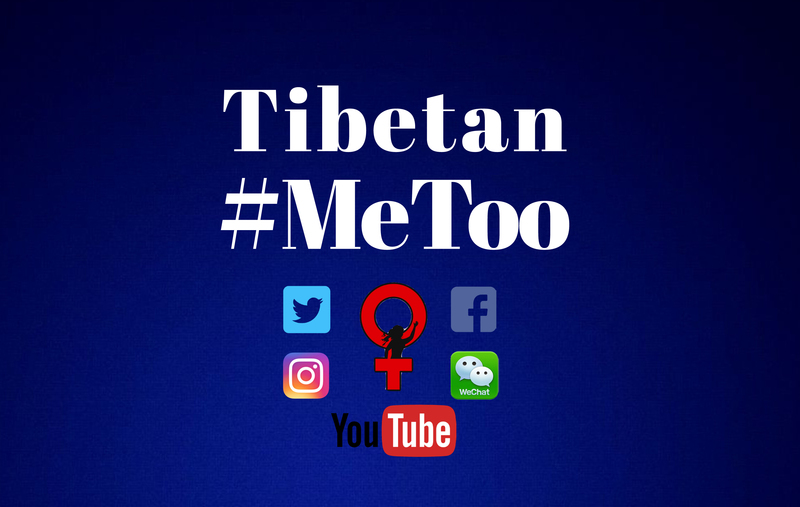 As two women who have collectively worked for nine years at the Tibetan Women’s Association and who care passionately about women’s empowerment, we support and welcome a #MeToo movement in the Tibetan community, a true social liberation of women led by women. Instead what Mila Rangzen did was to weaponize the #MeToo movement against innocent women simply to serve his political agenda, make up disgusting and damaging lies about us, which were then spread far and wide on social media. What he did was not just a hijacking of the #MeToo movement; it was a malicious and irreversible assault on the women he victimized. We became collateral damage in his campaign against Sikyong Lobsang Sangay. Of course, what we can and must do as a community is to constantly take steps towards ending the culture of impunity concerning sexual violence and gender-based injustice. The responsibility to realize such a community where survivors of sexual violence are empowered to hold perpetrators to account lies with all of us. That will be the true making of a Tibetan #MeToo Movement. When Mila Rangzen made his video and told his lies about us, he was not just bullying women and making the internet a less safe space for women, but also actively damaging the moral fabric of our Tibetan society. Social media has given every private individual a platform. It is very easy to destroy someone’s reputation through social media, especially when the attacker has nothing at stake and the target is a woman. One of the easiest ways to malign a woman is to suggest improper sexual liaison. We need to stop and discourage such casual and wholesale violation of women’s rights. Our community and thought leaders must publicly denounce such videos. At the very least, we should not be party to disseminating the video even further by sharing it on our social media accounts with salacious descriptions. Moreover, denouncing it alone is not enough; it demands action. As a society, we need to arrive at a collective understanding. Our inability to act could serve as a license for ingrained sexism and disguised misogyny to become ubiquitous in our community. Allowing such things to happen will not only silence women but will also deter women from entering public service. This is too big a price to pay. We are very cognizant of the fact that feminism and women’s empowerment are fairly new concepts in the Tibetan community. Gender activists and champions of women’s rights in the Tibetan community have our work cut out for us. As for the two of us, this YouTube video with its blatant lies about our characters and the subsequent social media churning – as disgusting, vulgar and hurtful as it was – has only emboldened our spirit and resolve to champion the cause of women’s empowerment. Dhardon Sharling is a doctoral student at the University of Massachusetts, Amherst, specializing in the field of Communications. She is a former Member of Tibetan Parliament in exile, a former bureaucrat of the Central Tibetan Administration, and a former Research and Media Officer at the Tibetan Women’s Association. Tenzin Palkyi is Senior Policy Advisor for Civil and Political Rights at American Jewish World Service and co-authoring this piece in her personal capacity. She formerly served as a Research Officer at the Tibetan Women’s Association, a Program Officer at the National Endowment for Democracy and the Government Relations Officer at the Office of Tibet, Washington, DC.